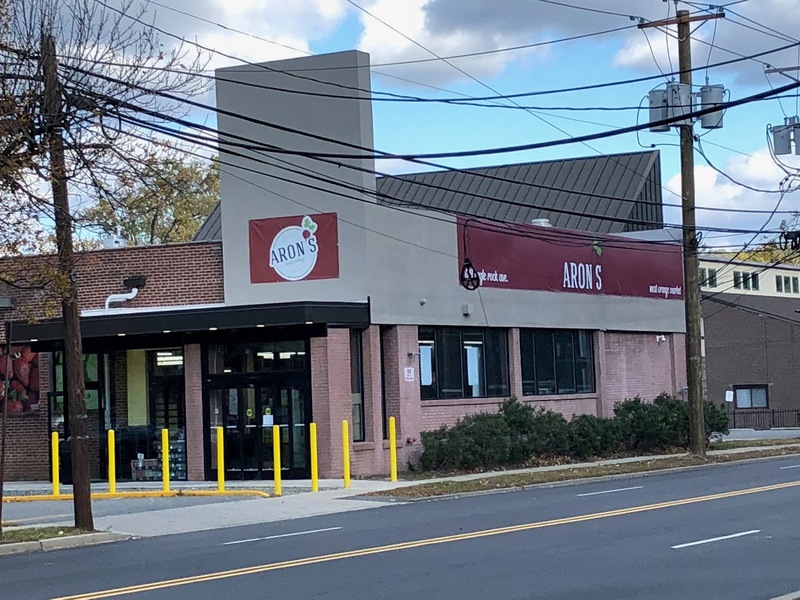 We originally saw Aron's West Orange, a Kosher supermarket, in November 2018 with a Look Inside from a contributor. I recently made it to the store myself, and rounded out our coverage with a few additional pictures. The outside has not really been changed much. The banner facing Eagle Rock Ave has been removed, leaving only this very small banner facing the parking lot. (If you're coming down Eagle Rock in the other direction, you're out of luck!) For an idea of the layout, the aisles run perpendicular to Eagle Rock. 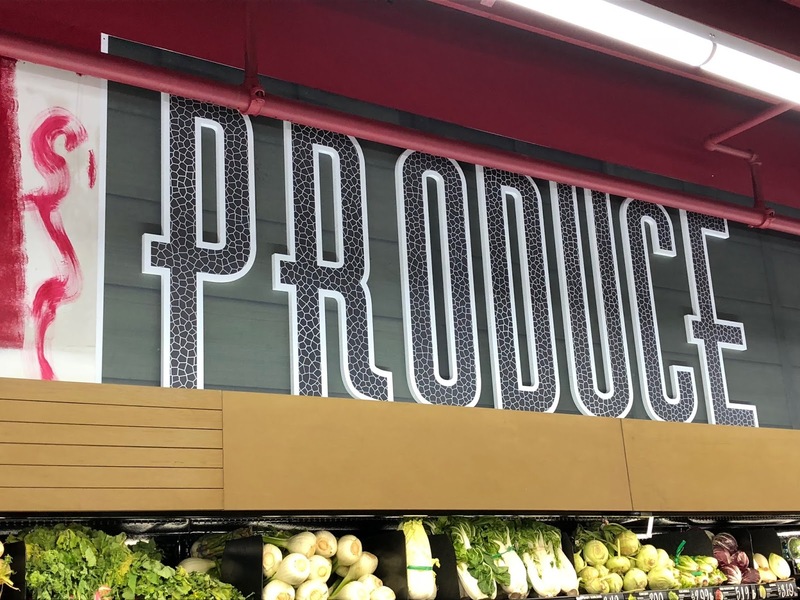 The produce department runs along both sides of the first aisle, with deli, butcher, and seafood on the back wall (in that order), frozen/dairy in the last aisle, and bakery and customer service in the front corner of the store opposite the entrance. While our contributor's photos were more focused on individual products and displays, I tried to get a better overview of the store. The produce aisle is quite impressive, and includes a large selection of both conventional and organics. However, several places on the shelves (prepared produce, just out of frame to the right and packaged greens, down the aisle on the left) were mostly empty. This was also a problem in the deli department, and some frozen/dairy cases. I could have just come at a bad time, though. This answers my previous question about the design to the left of the produce sign. It's just decorative! One of the grocery aisles. Although they're not numbered, there aren't many, I'd say five or so. And not only are they not numbered, they're still not labeled. There is still nothing on any of the aisle markers! Last aisle with frozen and dairy on the perimeter. Quick look at seafood along the back wall. (You can see an example of the empty spaces at the far end of the case to the right.) Once again, the address is 629 Eagle Rock Ave. Come back tomorrow for another revisit in West Orange, along with a regularly scheduled post!